So dating is not new to the technology world but what about BFF’ing? That’s right! If you are a super busy lady with a huge lack in social life or just a new gal in town looking for some friends, there’s an app for that! That’s right! Bumble has now expanded into the world of social friendships! Need a workout buddy, wing-woman, partner in crime, or want to start a local group of like minded ladies, join the BeeHive and swipe right! 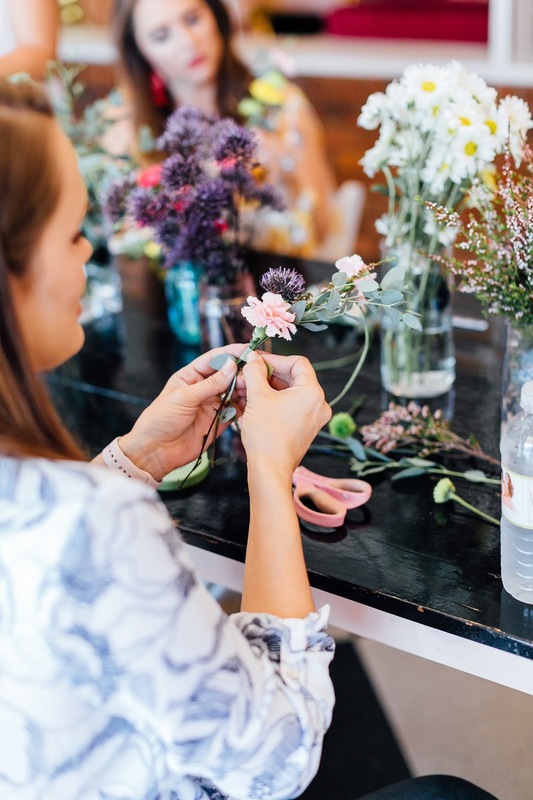 One of my gal pals hosted a great Kacie Cooper Floral Design flower crown party at her place of business, The Whimsy Cookie Company, featuring the Bumble BFF app. I had so much fun catching up with familiar faces and meeting some great new ladies in my hometown! We learned all about the Bumble app and got to see first hand how it can bring a group of ladies and a fun time all together! Want to learn more about the new app and seek out a new group of socialites? Click here to be taken to the BeeHive!